Precision Fluid Controls offers efficient measuring instruments for the control of fluids intended for manifold manufacturing sectors. Operationally established at the beginning of 1998 as company specialized in the distribution of industrial instruments, along the years Precision Fluid Controls, started as local reality mainly developed on the Lombard territory, has widened its range of action, setting up two sites in Italy, in Latina in 2006 and in Chioggia in 2016, and in the course of 2015 it started a new adventure beyond the Alps, establishing a French company called Fluides Precision, with premises in Paris and in Lyon. The number of represented companies has exponentially grown along the years, too. 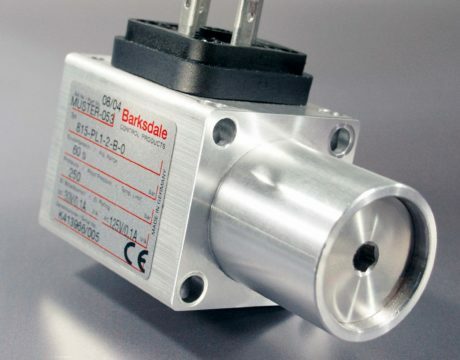 Started up as exclusive distributor of Barksdale and Bronkhorst brands, the company has incremented the number of distributed brands and today it counts corporate names like Ham-let, Astava, Tescom, Fluid Component International and, finally, worth mentioning the new distribution, started at the end of 2017, with Honeywell for the process instrument part. We met Paolo Ferrario, Marketing Manager of Precision Fluid Controls, to understand from close up the characteristics of this company and of the products it distributes. Mechanical pressure switch series 8000, ideal for uses in hydraulics. “Due to Barksdale products – underlines Paolo Ferrario – one of our main reference markets has always been the hydraulics world. Thanks to our wide product range, we can offer a complete solution for the measurement and the control of all process variables”. Inside the offer, Precision Fluid Controls relies on solutions for the pressure control, such as electronic and mechanical pressure switches, cigar-type and process pressure transmitters, for measuring both gas and liquid fluids, and level meters and gauges. Besides, the company can offer the main certifications in safety and quality ambit and, consequently, it can operate in the main reference markets: shipbuilding, Oil&gas, chemical, food and pharmaceutical. “The nature of the company, that is to say distributors for the national territory, is an in-house propensity connected with our Country’s realities. Nevertheless, according to what stated by our customers, we have estimated that over 50% of the products we supply are finally intended for installations in Countries outside the national territory”. Restyling of compact mechanical pressure switches of the series 8000. Precision Fluid Controls has endured the difficulties of the Oil&gas sector in the last years thanks to a smart diversification strategy that has led the company to increase its market share especially in the sector of machine manufacturers. Precision Fluid Controls’s strategy consists in representing for its customers not only an instrument supplier but in assisting them in the choice of the models and of the best solution that optimizes their processes. For this purpose, the company has developed an in-house division that takes care of supplying complete solutions and not only the single component, which anyway still remains the core business of Precision. “To improve our service – affirms Ferrario – and to facilitate the relationships with our customers, we have invested, and we will go on doing that, to improve our Service proposal”. Concerning this, Precision Fluid Controls has implemented the offer of its laboratory and nowadays it can offer a service of calibration and repair of meters/transmitters of pressure, flow rate and temperature. Moreover, it can offer an external service that includes assistance on the field in startup and programmed maintenance phase. 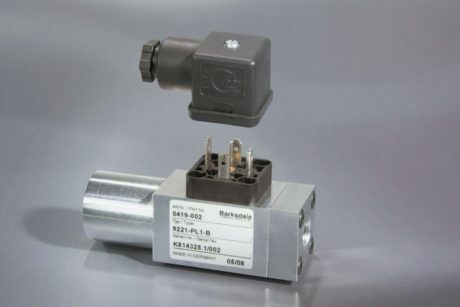 The electronic pressure switch BPS 3000 stands out for its broad measuring range from 0…0.2 Bars to 0…600 Bars (configurable in PSI or MPa); for 2 alarm contacts; 4 – 20 mA or 0 – 10 V output signal; a display and electric connection adjustable by 320°; a surfing menu in conformity with VDMA standards. Its main application fields concern machine tool manufacturers, the hydraulics and pneumatics sectors, injection presses and lubrication plants. Finally, to meet the more and more frantic market demands, the company relies on a broad vertical warehouse for the automated stocking and picking of goods and, through a sophisticated software integrated with the company’s computerized system, it can grant shipments in all Italy in 24-48 hours of the main treated instruments. Not being a direct manufacturer, the investments in research and development of Precision Fluid Controls are generally restricted to the search for new brands and solutions to be offered to its customers, besides the possibility of increasing the services offered. “At present – specifies Ferrario – we do not foresee particular transformations but the focus is increasing our market share in Italy and expanding our know-how and our Solution Provider capacity on the French market, too”. The new electronic BPS3000 pressure switch equipped with digital Io-link interface. The offer by Precision Fluid Controls is strictly connected with the Industry 4.0 world, and for some months the company has been able to supply also pressure, level and temperature sensors with digital IO-link interface. In general, the corporate focus on Industry 4.0 is noteworthy, and Precision Fluid Controls can support its customers also from this point of view, with a suitable offer of measuring and control instruments for satisfying all of their requisites. The main applications are inside hydraulic power units and are applied by the primary manufacturers of machines and plants in automotive industry, transports, earth-handling machines and, for some time, a discrete interest has aroused also in the ambit of steel mills. The market evolution has led to new more specific demands for hydraulic power units. 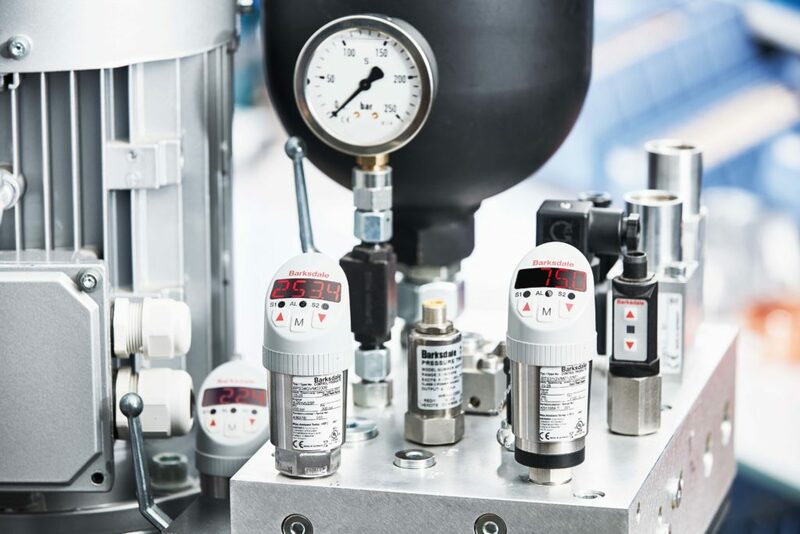 Wherever the control and the measurement of pressure, flow rate, level and temperature are needed, Precision Fluid Controls can offer an accurate and compact solution. 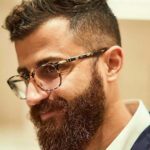 “Our peculiarity consists in offering customized solutions concerning both the hardware and software part and in granting the necessary certifications to export in the main world markets”. Safety has always characterized the corporate offer, as witnessed by the broad range of certifications attained. 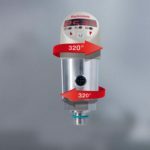 Among products, an absolute novelty is the release on the market, starting from May 2018, of the new electronic pressure switch BPS 3000 equipped with digital Io-link interface. 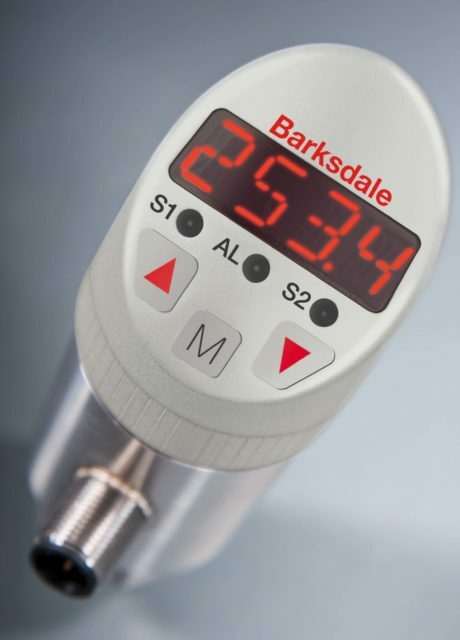 The electronic pressure switch Series BPS 3000 of the Barksdale line enriches the range of high-precision products for pressure, temperature, level and flow rate. This equipment, which offers many possibilities and new solutions, is the reference point for the most complex and demanding applications. Thanks to the stainless steel casing, it is highly compatible with heavy-duty industrial environments and naval applications. Its angle-shaped design, besides being aesthetically attractive, grants high performances under critical situations, too. The pressure switch, characterized by a panel with 99 mm-height and 40 mm-diameter, allows a compact installation. Among its main characteristics: from vacuum to 600 BARS, 2 PNP contacts, analogue output: 4 ÷ 20mA / 0 ÷ 10 V, 4-digit adjustable display, stainless steel body, IP 65/67 protection. Paolo Ferrario, Marketing Manager of Precision Fluid Controls. The BPS series stands out for its broad measuring range from 0…0.2 Bars (g) up to 0…600 Bars (g), by the presence of two alarm relays and by the analogue output in 4…20 mA or 0-10 V. These main characteristics are now completed by the new IO-LINK interface that allows the company to enter markets that were precluded until now. In addition to the novelty of this electronic pressure switch, Precision Fluid Controls presents the restyling of the compact mechanical pressure switches of the series 8000. 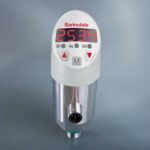 The novelty is represented by the possibility of requesting the black anodized casing provided with the HD option, that is to say the pressure regulation knob with integrated measuring scale. The pressure switches of the 8000 series represent a compact modular solution ideally suiting all applications. In this case as well, use ranges are very wide and go from 0.6 to 600 Bars (g), with the peculiarity of having very low and accurate switch setup values. Finally, the main certifications in safety ambit are available and include Ex ia, cULus and SIL 2 (IEC 61508). The latest novelty is represented by the level gauges and the thermostats of the UNS100 series, ideal for the monitoring of hydraulic fluids inside hydraulic power units. Modern hydraulic tanks need in fact the constant monitoring of temperature and level, in order to keep safety parameters always under control during all loading, unloading and use operations of power units.